Sire: +*B SG Cedar View Oliver +*S (Cedar View Josephus *B 2x GCH x SGCH Cedar View Isabella 4*M EEEE91 4x GCH, 4x BOB, 3x BU, 1x Supreme Udder, 1x BIS. 2x ELITE Doe (98% Production Ranking), #2 ADGA Breed Leader Top 10, ANDDA Total Performer, Platinum JuJu, 7# High on Test Day, 1400#). 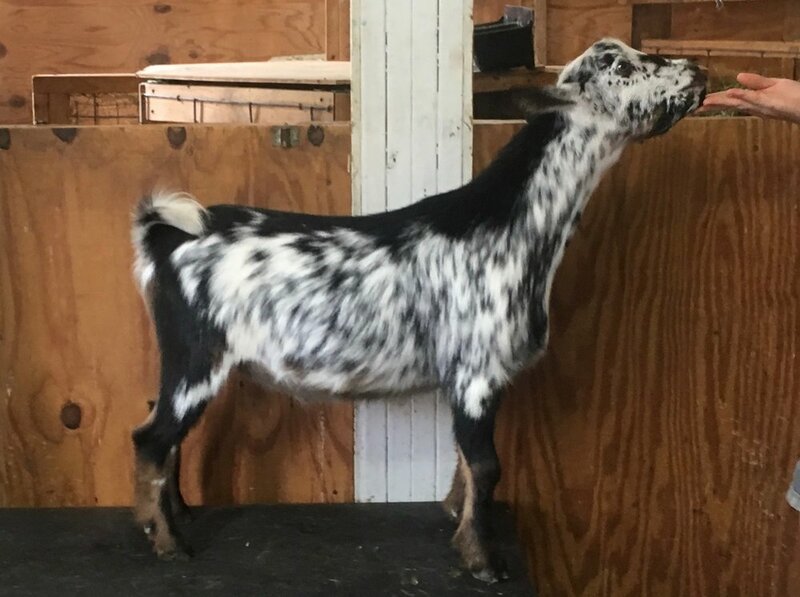 Sire: Thunder ASH Hyssop Dip *B *S VEE90 (Sinai Thunder AG Asher +*B +*S x SGCH/PGCH/ARMCH Lost ValleyTB Dipp'n Dots *M *D VEEE90, ANDDA Total Performer Doe, AGS Top 10, Producer of Rsv Nat'l Jr CH doe. 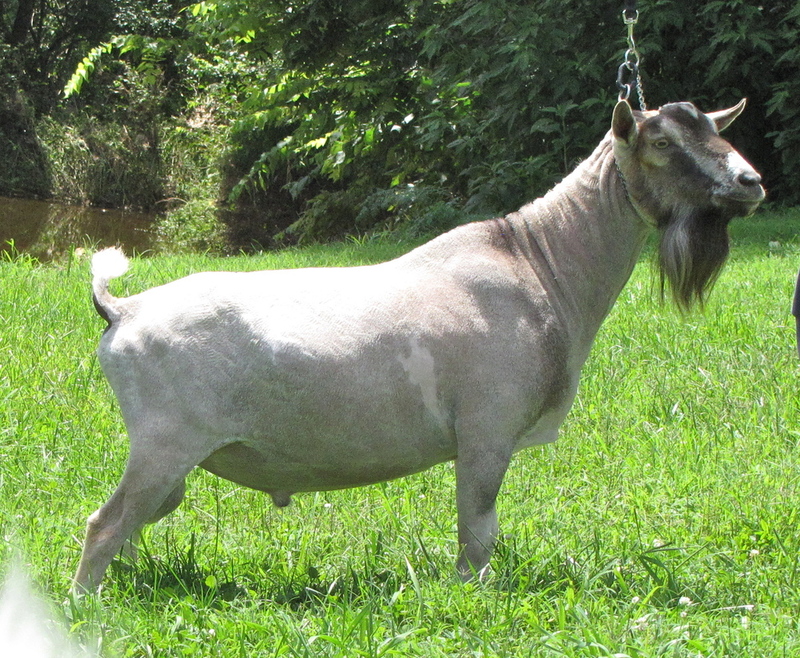 Dot's sire (ARMCH Lost Valley Tae Bo ++*S/++B E) is 2x National Champion Buck). Hyssop's litter sister VEEE90, 1000# Top 10 Milker. Dam: SGCH Olson Acres VDoo Priestess 2*M 2*DAR EEEE91 ANDDA Total Performer Doe, AGS/ADGA National Top 10 Milk Awards, 1300# Milker (CH Woodbridge Too Z Terminator x CH Flat Rocks Vdoo Princess *M *D) Dam of SG daughter. Both litter sisters are retained. Progeny retained: Hyssop Dip *S *B EEV90, Levi *S *B, Serendipity 90.2E, Hope Eternal, Dippity DoDah. Litter sister, Love Letters retained. Progeny retained: Be My Peace. Dam: SG Kaapio Acres HH Redemption *M *DAR VEEE90 ADGA Elite Doe, ADGA & AGS Nat'l Top 10 Milk Awards, AGS Record setting.